Leave it to multi-industry leader Sony to develop amazing products and not give them cool names that are easier to remember. Other than the iconic Sony Walkman, or the Sony VAIO, most of the company’s other products just go by their model number. It speaks to the quality of their products that consumers still raise demand for them despite having little to no name recall and going simply by a bunch of letters and numbers. One example, which has been a fixture in many recording studios around the world, are the MDRV6 studio monitor headphones. As to why Sony decided not to call them the “MiD RaVe 6” or anything else that slides easily on the tongue, nobody knows. Or cares, for that matter, because as far as consumers are concerned, the MDRV6 studio headphones are some of the most reliable pieces of audio equipment around. Oh, by the way. 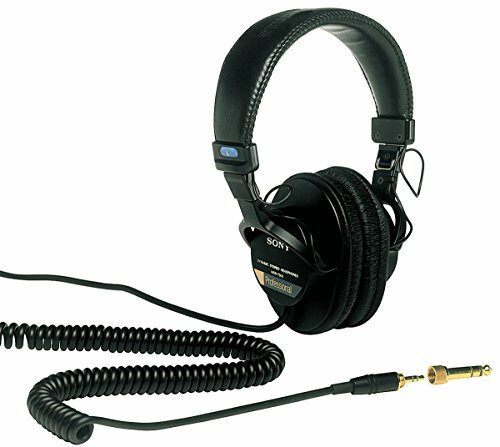 Did you know that the Sony MDRV6 Studio Headphones have been around since 1985? Yes, 1985. Let that sink in for a second. For an audio electronics product that’s more than 20 years old, the MDRV6 studio headphones are still competitive even against some of the newer products on the market. For as long as anybody can remember, the name Sony has always been part of any conversation that has even the slightest mention of the phrase “outstanding audio products” in them. The MDRV6 studio monitor headphones are no exception, as they provide a highly detailed audio quality through powerful 40mm drivers. Frequency response is remarkable, ranging from 5 Hz to an impressive 30 KHz, which makes the MDRV6 studio headphones ideal for editing and recording. The MDRV6 studio headphones are also great for DJ’s and music producers, because the wide frequency response allows them to play back audio that might have been picked up by the mic. These are the sounds that won’t show up until you listen to your recorded track using professional-grade audio equipment. The MDRV6 studio headphones let you hear these acoustic aberrations so that you can edit or re-record your tracks before finalizing them. If the MDRV6 studio headphones had one drawback, it would be its potential for sound leakage. However, the issue is only apparent if you keep the microphone close to you when you are recording. In this case, the microphone can accidentally record the audio coming from the headphones. This can easily be resolved by putting muffs and other noise cancelling accessories on the microphone. The fact that the Sony MDRV6 Studio Headphones have lasted this long is a testament to its superior quality. In keeping with Sony’s tradition of producing exceptional audio products, the MDRV6 studio headphones have remained one of the better performing audio products in this or any other generation. With the way things are going now in the consumer electronics market, even future generations might agree that the MDRV6 are some of the best studio headphones of all time. Keeping the same form factor for more than two decades is a feat that very few other products can boast of. Like they say, “if it ain’t broke, don’t fix it”. 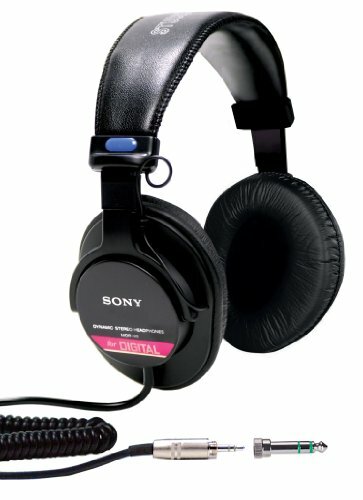 The MDRV6 studio headphones have had so much success in the past that Sony did very little in terms of changing the overall look and design. The MDRV6 studio headphones are sturdy and durable, which partly accounts for their market longevity. The build quality is sturdy and reliable, as it always has been, and the collapsible design gives the headphones some degree of portability. They are considerably lightweight for their size, and they provide a comfortable fit that passively seals out ambient noise. The earpieces are generously cushioned, and they are quite easy to replace should they succumb to years of wear and tear. Despite being one of the “older models”, the MDRV6 studio headphones have proven that beauty gets better with age. Retailing today for around $110, and despite stiff competition from other major international brands, the MDRV6 studio headphones make for an excellent choice if you prefer products that give you more bang for your buck. With very little of its design or performance changing over the past 20 years, the Sony MDRV6 Studio Headphones show just how much faith a huge company like Sony has in its products. This translates to consumer trust, forever thrusting the MDRV6 studio headphones into the audio equipment hall of fame.